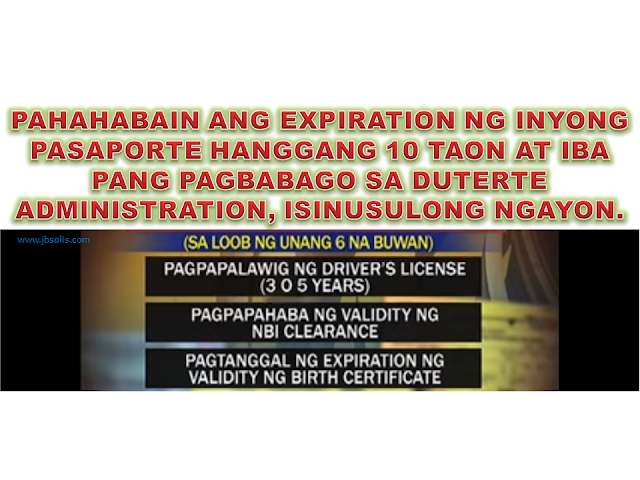 Under the proposal, passports might be extended up to 10 years validity but people may pay extra amount of money, and the normal 40-pages passport can be 60-pages. The Duterte administration also targets to extend driver license's validity from 3 years to 5 years, extending the validity of the NBI clearance and removing the expiration of the validity of the birth certificate. 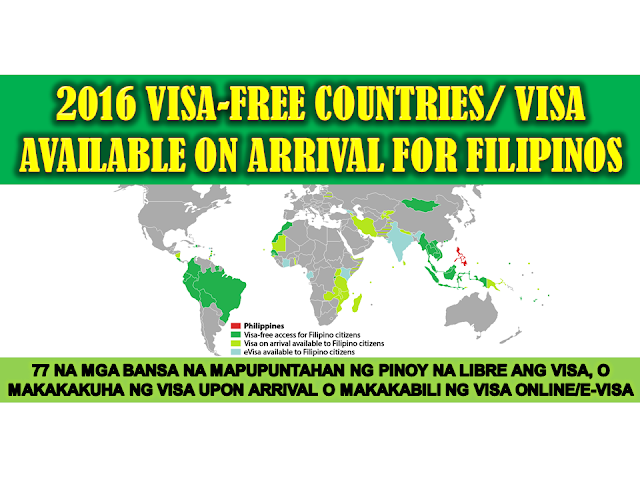 Meanwhile, there is a new process in getting passport by having an appointment online. Please make sure you will turn to your appointment schedule or suffer the 30-days penalty, which means you cannot process your passport in the next 30-days. 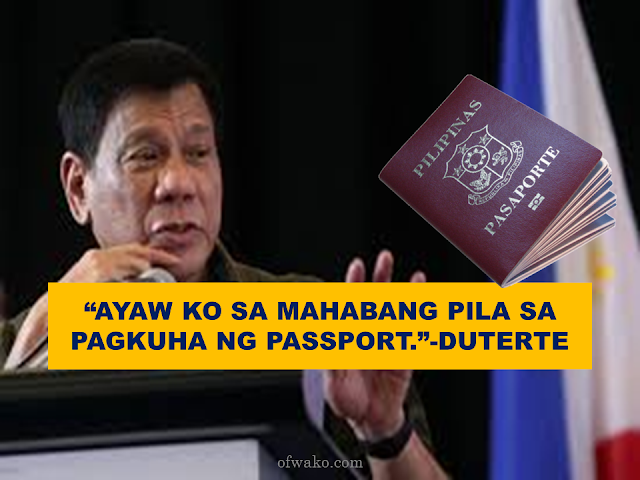 President Duterte doesn't want long queues in applying for passport in the DFA anymore. He even ask the incoming DFA Secretary Perfecto Yasay to put an end to this long queues that affect mostly the OFWs.